ACOs: Accountable Care Organizations (ACOs) are groups of doctors, hospitals and other healthcare providers who voluntarily collaborate to provide high-quality care to patients through contracts with the Centers for Medicare & Medicaid Services (CMS) and/or private healthcare insurers. The goal of this coordinated care is to ensure that patients, especially the chronically ill, get the right care at the right time, while avoiding duplication of services and preventing medical errors. Telehealth is on the rise in ACOs. API: An application program interface (API) is a set of routines, protocols, and tools for building software applications. The API stipulates how software components should interact. American Well has three types of APIs: administrative, scheduling and clinical. Our administrative APIs provide ways for staff to enroll patients and list “directories” of available providers. Our scheduling APIs allow EMR scheduling systems to synchronize scheduled visits with American Well, with the option to trigger emails to patient and physicians. The clinical interfaces provide data exchange before, during, and after visits, such as sharing a patient’s health history. Appointment Scheduling: In addition to on-demand video visits, patients and physicians can schedule video appointments with one another. The self-scheduling option allows patients to get care when they need it, at times that fit into their schedules. Providers can use dedicated telehealth time slots to fit in more visits, and can use scheduling to see their own patients. Apple Health: Apple Health, or Apple HealthKit, is a preinstalled app on Apple Watch and all iOS8 devices that contains an easy-to-read dashboard for a person’s fitness and health data. The app shows heart rate, calories burned, cholesterol and other important vital information, as well as results of lab tests, diagnoses and medical examinations. American Well is integrated with Apple Health to allow telehealth physicians to immediately access and track a patient’s health information with just one click. This integration is key for chronic patients and population health management. ATA Accreditation: The American Telemedicine Association (ATA) developed an accreditation program to establish standard criteria regarding the security of patient information, transparency in pricing and operations, qualifications and licensing of providers and clinical practices and guidelines for telemedicine. This seal of accreditation can provide reassurance for consumers, as well as for payers, who can be confident that they a reimbursing a virtual service that is safe and of high quality. American Well earned ATA’s first accreditation for online patient consultations. 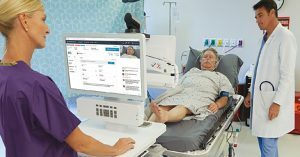 AW9: American Well’s next generation product line, AW9, was revealed at HIMSS 2016 in Las Vegas. Included in its wide suite of features is the mobile SDK, which allows companies to embed telehealth right into their own app, and Multiway video, which allows doctors and patients to invite other specialists and caregivers right into the visit. Click here for an in-depth showing of AW9 features. Brokerage System: American Well’s brokerage system is a patented core technology that organizes pools of providers to efficiently meet patient demand while considering availability, clinical specialty, medical regulations, licensure and other qualifications. The brokerage system is a central feature across our entire platform that helps facilitates patient-to-provider consults, as well as provider-to-provider consults (via the Telemed Tablet). 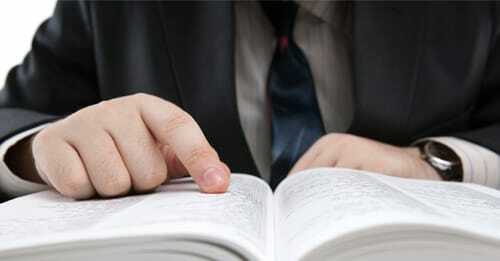 The brokerage system was invented by Roy Schoenberg, MD, MPH CEO and co-founder of American Well. EMRs: Electronic Medical Records (EMRs) contain the standard medical and clinical data gathered by a patient’s provider, and allows that provider to track data over time. American Well allows physicians to seamlessly and safely access EMRs for better patient care. ePrescribing: ePrescribing is the ability for physicians to fill medical prescriptions online via telehealth. American Well physicians e-prescribe when deemed medically appropriate, and only in the states that allow ePrescribing. Surescripts enables American Well’s ePrescribing functionality. EHRs: Electronic Health Records (EHRs) go one step beyond EMRs by tracking clinical data from multiple facilities and agencies. EHRs share a patient’s medical history from all providers involved in his or her care, and are often digitized to improve efficiency, care and cost. American Well allows physicians to seamlessly and safely access EHRs for better patient care. FSMB: The Federation of State Medical Boards (FSMB) is a national nonprofit representing the 70 medical and osteopathic boards of the United States and its territories. [i] The Federation of State Medical Board (FSMB) is a leader in medical regulations, serving as an innovative catalyst for effective policy and standards. FSMB adopted policy guidelines for the safe practice of telehealth, which includes the tenets we mentioned above. FSMB has and will continue to play a key role in regulating the telehealth industry. HIPAA-Compliant: Any company—including telehealth companies—that handle protected health information (PHI) must ensure that all security measures are in place and followed according to the Health Insurance Portability and Accountability Act (HIPAA). HIPAA dictates the acceptable handling of sensitive information, the proper management of information assets, and responsibilities around security and privacy obligations such as training and user access. All of the systems that operate using American Well are private, secure and HIPAA-compliant. Insight: Insight puts information from any outside system in front of a doctor during a telehealth visit—patient history, gaps in care, and disease management checklists. With AW9, Insight extends to content that is relevant to entire populations—referral instructions, prescription guidelines, and wellness program updates go live to providers immediately. Kiosks: American Well kiosks come in enclosed, console, and desktop form, and are used as a way for patients to connect with doctors for immediate medical care. Typically used by employers, retailers and health systems, kiosks come equip with a touchscreen interface, high-definition webcam, integrated peripheral and biometric devices, vital sign collection capabilities and much more. Mobile SDK: American Well introduced the industry’s first mobile software development kit as part of the AW9 launch in March 2016. This mobile SDK allows health systems to add online video doctors’ visits into their native mobile apps, making on-demand care a part of their consumer experience. Multiway Video: Another featured launched with AW9, multiway video allows a physician or patient to simply invite other participates, such as a specialist, family member, caregiver, or language translator, into a live video visit. Multiway video can be used for a range of reasons, from clinical collaboration and family care, to translation services. Sidekick App: An extension of the Telemed Tablet, the Sidekick app supplements a live video consultation with images taken on an iPhone. Doctors can easily sync the Telemed Tablet with the iPhone before snapping and sending pictures of EKGs, Xrays, patient history, and other documentation. Images are not saved or stored after the visit to ensure patient privacy and compliance. Telehealth/Telemedicine: There are many different definitions for telehealth and telemedicine, as well as continuous debate over whether they actually mean the same thing. At American Well, our solution uses technology to solve care delivery challenges, which is why we see no distinction between telehealth and telemedicine. We define both terms as a remote consultation between a doctor and a patient. We believe–as does the Federation of State Medical Boards –that for telehealth to be a true healthcare encounter, several tenets must be upheld: immediacy, patient choice, video and care continuity. Telehealth 2.0: Telehealth 2.0 is a term coined by Roy Schoenberg, our co-founder and CEO of American Well. The term marks the seismic shift in the healthcare industry’s focus on telehealth in 2015, which had been previously focused almost exclusively on delivering urgent care treatment to patients. With new technologies like American Well’s AW8 release, telehealth is now used by providers to directly care for patients, giving them the tools needed to use telehealth on their own patients, and treat a range of conditions—from chronic care management to surgery follow-up. Telehealth Medical Practices: Telehealth medical practices allow health systems to mirror traditional brick and mortar settings by offering practices beyond urgent care. Amwell offers its own set of medical practices that include behavioral health, nutrition and medical. 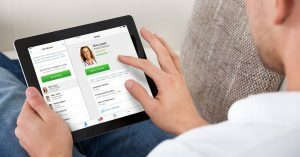 Health organizations that use American Well’s platform can also offer their own unique practices—neurology, dermatology, and surgical follow-up— via telehealth. 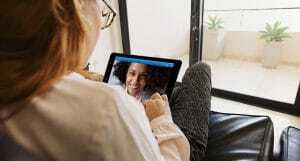 Telemed Tablet: An FDA-approved Class 1 device, the Telemed Tablet allows a doctor or nurse to tap into a pool of on-call specialists and connect for an immediate video consult in any setting, from the office to the patient’s bedside to the ER. The Telemed Tablet can equip any point of care with specialists, without the cost of full-time onsite staff or travel. New features of the Telemed Tablet include a PTZ Camera and the Sidekick app. Webside Manner: Coined in 2009 by American Well, webside manner refers to how a healthcare professional interacts and communicates with a patient via online video. Doctors on Amwell have outstanding webside manner, receiving 4.8 out of 5 stars in patient satisfaction. What other telehealth terms come to mind for you?